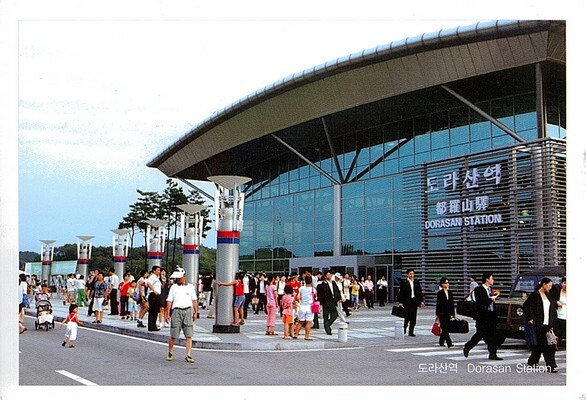 Dorasan Station is a railroad station situated on the Gyeongui Line, which once connected North and South Korea and has now been restored. For several years the northernmost stop on the line was Dorasan Station, which is served by Tonggeun commuter trains. On December 11, 2007, freight trains began traveling north past Dorasan Station into North Korea, taking materials to the Kaesong Industrial Region, and returning with finished goods. It was scheduled to make one 16-kilometer (9.9 mi) trip every weekday.